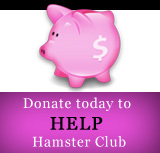 Hamster Club :: A Hamster's Diet: What Should I Feed My Hammy? A Hamster's Diet: What Should I Feed My Hammy? A hamster, like any living creature, will be most healthy if given a properly balanced and nutritional diet. 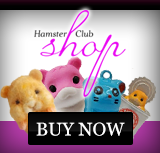 In the case of hamsters, the best way to start with a healthy diet is to purchase a commercial brand hamster food. A store bought brand of hamster food will have the best balance of nutrition for your hamster and will more than likely appeal to your hamster�s palette. In addition, it goes without saying that your hamster will need a constant and fresh supply of water. A water bottle that attaches to the side of your hamster's cage is probably the best choice for your hamster. If you don't have a cage that lends itself to a bottle however a bowl may be sufficient. Just ensure that the bowl is a heavy one and not easily tipped over. You will need to refresh the water supply every day or two to ensure that the water is not contaminated and doesn't stagnate. You may also decide to supplement your hamster�s diet by adding fresh fruits and vegetables from time to time. Although fresh food is not a necessity in addition to a properly balanced hamster food mix, your hamster will probably appreciate the variety in their diet. At the same time a treat feeding time can allow you some interactivity with your pet hamster. Cooked potato (served cold) and cooked kidney beans (also cold) may be okay for your hamster, there is some debate as to whether these foods are okay in small amounts. This list was compiled with the idea of erring on the side of safety when health problem potential is uncertain. If you do decide to feed these foods it is advised that you do so in very small amounts. Click here to read and view the plants that are poisonious to hamsters and thus the plants listed should never be given to them. What Will My Hamster Enjoy? Seeds and Nuts: You hamster will likely enjoy nuts and seeds. These are wonderful treats and will be included in many commercial pet mixes. You should take care to avoid feeding too many nuts or seeds to a dwarf hamster. Nuts and seeds are highly fatty foods and may cause a condition known as "heat" in a dwarf hamster, which can result in loss of fur. One or two nuts every other day is probably sufficient if your hamster is a dwarf. Green Vegetables: Green vegetables are another favorite treat of hamsters. Feeding a small slice of cucumber (which is also good source of water) or a piece of lettuce from time to time will be appreciated. But be careful not to overdo it. These should not be fed more than once every 2 or 3 days. 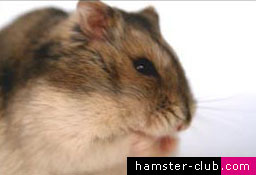 In the case of lettuce, too much can cause liver problems in hamsters so feed this treat sparingly. Avoid Sticky Treats: In feeding your hamster you should also consider the consistency and texture of the food you are feeding. A food like peanut butter or honey may seem like a nice treat to you or I but they are sticky and could become trapped in hamster�s dry cheek pouch. In general you should not feed sticky foods that could adhere to the inner lining of the pouch. Should the cheek pouch become impacted as a result of eating something sticky, the only person who will be able to remedy it will be your veterinarian. In any case, any foods you use to supplement your hamster's diet should only be given sparingly. A treat every other day is probably okay but too much or too often may result in health problems. Diarrhoea, gastritis and liver problems can all result from feeding too many treats too often. All foods should be fed at about room temperature. Allow any cooked vegetables to cool before feeding, also make sure any cooked vegetables are free from spices, oils or any other seasoning. Any food from the refrigerator or freezer should likewise have time to acclimate to room temperature. Once your hamster has had a chance to eat the fresh foods be sure to clean up any uneaten portion. If left in the cage for more than an hour or so the food will begin to rot, which will cause the cage to stink and may pose a health risk to your little friend(s). Note On Dwarf Hamsters: The foods listed below are generally acceptable for all hamsters, but dwarf hamsters are especially prone to diabetes, as a result you should generally avoid feeding fruits and vegetables with high levels of glucose (sugar) if you have a dwarf. If you do decide to feed your dwarf a fruit or a vegetable with high amounts of sugar (such as corn, carrots, bananas, mangos, etc) be very sparing with the amount and the frequency. Be sure to remove the pit from any fruit or vegetable that has one, they could be problematic should your hamster attempt to ingest or chew on them. All foods should be unseasoned with no salt, sugar, oil or spices added. Other foods may also be acceptable to feed to your hamster. This is not a comprehensive list, merely some common foods that can be fed to your hamster. If in doubt about a certain food it is always better to err on the side of safety and avoid feeding it to your hamster. You can ask your veterinarian about the food in question later. Click here to view beautiful hamster videos.